“Leviticus 19:34 is misused by Christians and by Russell Moore. This verse does not say what Moore claims it to say. The Bible has four realms of authority. When you quote a scripture, you must put it in context. Scripture speaks to: the individual, the family, the church and civil government. When you have a verse, you must find the sphere (context) in which the words are spoken to. In Hebrew, proselyte is a stranger, a foreigner with the intent of becoming a Jew—following the customs, laws, practices and language. This article is an excerpt from one that originally appeared June 23, 2018 in the Ventura County Citizens Journal newspaper—Real News for Ventura County—featuring true investigative journalism and a voice for all sides. 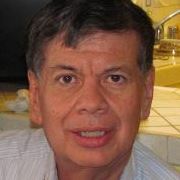 Michael Hernandez, Co-Founder of the Citizens Journal—Ventura County’s online news service, founder of History Makers International, is a former Southern California daily newspaper journalist and religion and news editor. Contact Mr. Hernandez by email: hernandez.mike@aol.com or by calling (818) 263-9881. Thanks for the excellent education. Typical misuse of Scripture- The stranger in the Bible was accepted as one born of the people IF HE FOLLOWED THE LAW. Picking and choosing of Bible verses is misleading. The law for immigrants in the United States is the same as Biblical Law. All new citizens are require to affirm allegiance to the Constitution, the highest law of the land, despite political judges who have never learned to read what it says.